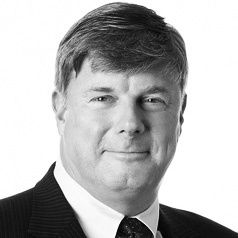 Barry Griffiths is a partner and head of quantitative research at Landmark Partners. He is responsible for quantitative analysis for Landmark’s private equity and real estate areas, including customer-oriented research, performance analysis, and risk management activities. Prior to joining Landmark in 2009, Mr. Griffiths was head of quantitative research at Goldman Sachs Private Equity Group. Earlier, he was an aerospace research engineer specializing in guidance, navigation, and control. Mr. Griffiths is a CFA® charterholder, who received a Ph.D. from Case Western Reserve University and an MS and BS from Michigan State University.